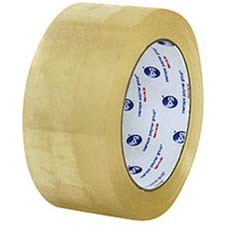 Intertape 191 Medium Grade Acrylic CST - BOPP Carton Sealing Tape is suited for all-temperature box sealing performance where resistance to aging, weathering, UV light, and yellowing are important. 1.9 mil Medium Grade Carton Sealing tape . Acrylic adhesive and Biaxially Oriented Polypropylene backing. Resistant to aging, weathering, UV light, and yellowing.